"Never forget" was the heartfelt refrain after the World Trade Center attacks on September 11, 2001. And now, 13 years later, the National September 11 Memorial Museum has opened, to memorialize those who lost their lives -- and to ensure, once again, that the world will "never forget." The museum’s power rests, first and foremost, in its location: The 110,000 square feet of exhibition space are within "the archaeological heart of the World Trade Center site." The ... See More museum takes visitors underground -- literally. It lies 70 feet below ground, so entering the museum involves descent from the light of the outside into dimly lit depths, which adds to the overall power and pathos of this hallowed ground. A variety of fascinating exhibits reveal the makeup of New York City’s impressive bedrock, like a 450-million-year-old chunk of Manhattan schist, excavated in August 2008. WTC’s architectural grandeur is also showcased via a large-scale model, originally built in 1969 to 1971, which is one of the largest and most detailed WTC presentation models still surviving today. It’s a powerful piece, because it highlights what the World Trade Center was, rather than what became of it. Above all, the museum is a tribute to the victims, to the survivors -- and to their loved ones. Numerous exhibits feature photographs, audio, videotapes and recorded testimonies connected to September 11, 2001 and also to the February 26, 1993, WTC bombing. 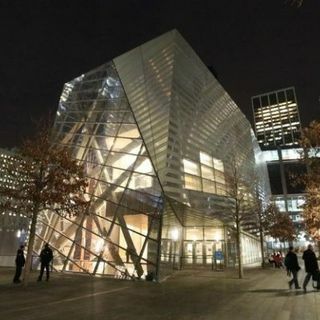 In many ways, the museum is as much about the WTC’s demise as it is about New York City’s resilience. This is especially evident above ground, at the sun-washed memorial, where parapets engraved with the 2,983 victims’ names surround the twin Memorial pools, which shimmer in the footprints of the Twin Towers. Here, beauty has taken the place of tragedy.